Create custom web forms for your websites. 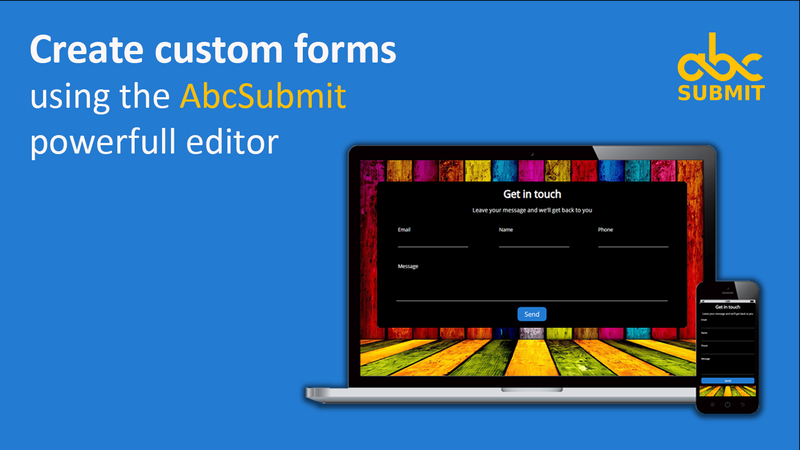 AbcSubmit is a free form builder with 30+ fields for your forms and offers highly customizable options for your custom forms. Publish your forms anywhere using our embed options.